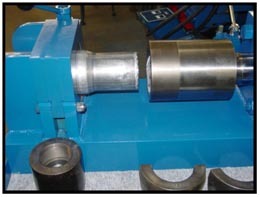 Model 3411-GAC Tube End Forming Machine : American Machine and Hydraulics, Inc. The model 3411 GAC is similar to the model 3012 MDE with the exception of the micro dial expanding system. This unit utilizes the gripper clamp only. It can expand, reduce, flare, flange or bead. 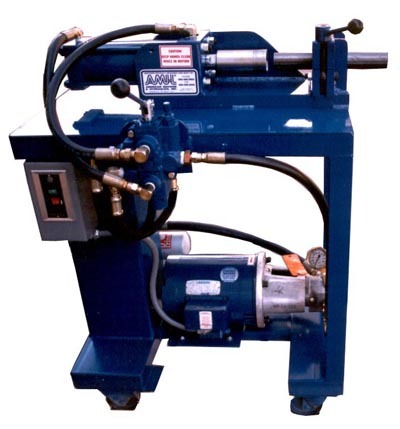 It is portable, has a 5 hp electric motor with a 3 gpm hydraulic pump. It can operate up to 3000 psi and generates up to 14.6 tons of forming forces. Tooling can be changed in seconds. 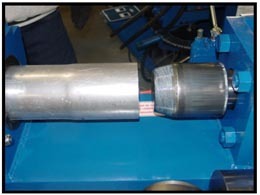 Quick release or screw on tooling can be used with the gripper clamp collars to hold the tube in place during the form operation.